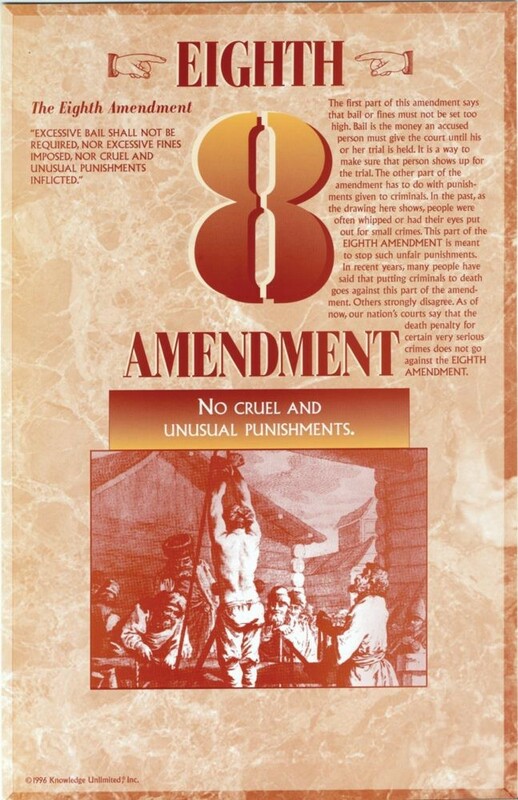 This educational poster includes the text of the Eighth Amendment, a clear explanation of the amendment, and a very brief summary of the rights it protects. 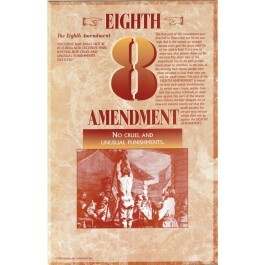 The Eighth Amendment protects against cruel and unusual punishments. This poster helps students understand this important protection, and why it was included as part of our Bill of Rights.